Karel Janeček’s petition appeals to Czech senators to open negotiations and ultimately to impeach President Václav Klaus for comitting high treason in connection with his January amnesty. Marc S. Ellenbogen, the president of the Global Panel Foundation, supports the Czech entrepreneur and benefactor’s petition – joining more than 40.000 citizens who have become signatories on within three days. 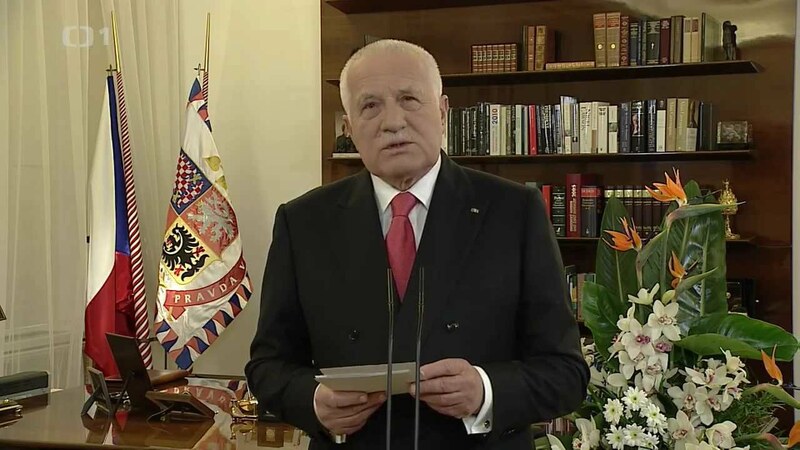 Ellenbogen said “Vaclav Klaus is an embarassment to his office, and an insult to his people.” The petition is supported by 17 civic organizations including Pražské fórum, Pozitivní evoluce and Veřejnost proti korupci. Klaus’ amnesty frees more than 7000 inmates and has earned him severe criticism. It applies to cases of high-profile financial schemes and halted investigations of dozens of financial crimes. “In his New Year amnesty, President Klaus pardoned a whole generation of scoundrels, and thus dealt a heavy blow to the trust of citizens in legal state and democracy. However, the whole matter has also a legal aspect,” says Karel Janeček. The halted investigations include the disappearance of millions of dollars from an investment fund, suspected asset-stripping in a bank that collapsed and a failed housing scheme in which over a thousand people lost millions of crowns. They also include the case a judge suspected to be part of a ring that forced healthy companies into bankruptcy to sell their assets cheaply to friends. Iva Borzova, the head of the supreme court, said she feared the amnesty might undermine the rule of law. Czech Prime Minister Petr Necas faced a vote of no confidence last week after having come under attack for supporting the amnesty. Although the President’s term is coming to an end, according to Janeček, the aim of the impeachment is to confirm the democratic character of the Republic, and to renew the trust of citizens in rule of law and democracy. “The act of the President and his accomplices as such deserves not only moral denunciation, but also a clear legal qualification,” added Janeček. The penalty for high treason under Czech law is the loss of presidency and the capacity to re-gain it. The impeachment is tried by the Constitutional Court after it is initiated by the Senate. The petition is now being investigated by the Agency Dobrý den which records certificates of Czech record holders. „Provided that we receive all materials needed, we are ready to register the petition within 24 hours,“ said the Agency´s CEO Josef Vaněk.